I discovered Minae Mizumura’s ‘A True Novel‘ through this article about giant translated novels that make a mockery of subway reading. When Bellezza suggested a readalong of Mizumura’s book, me and a few others jumped in. This book at 862 pages is the longest book that I have read this year. It is also the longest book that I have read on my Kindle. So this is a new experience for me. I realized while I was reading that the pages were flying and the only reason I think this happened was because I was reading a digital copy of the book. I would never be able to read a paper book this fast. I don’t know why we read things faster on a screen when compared to paper. A True Novel is multi-layered. In the first part of the novel, the author herself is the narrator. There is a preface in the beginning where the author describes how she was inspired to write the book and the story behind it. It makes us think that the story is based on real events. The next part of the book talks about the narrator’s (that is, the author’s) own life and her experiences while growing up in America and later after she moved to Japan as an adult. Weaved into her story is the story of Taro Azuma, who is a mysterious figure, who works as a chauffeur for a friend of the narrator’s father. No one knows about his past life in Japan, but he works hard and so everyone likes him. In this part of the book the narrator talks about how Azuma comes in and goes out of her life and how she hears news about him through others. Then later, the narrator meets a person called Yusuke, who tells her about Azuma’s life in Japan, before he came to America. The second part of the book, which comprises most of the book, is the story that the narrator hears from this new person Yusuke. In this part, a woman called Fumiko, whom Yusuke meets in Japan, tells the story of Taro Azuma. This story is also structured like the first part, in the sense, Fumiko tells the story of her life and she weaves in the story of Taro Azuma into it. Through her we hear about how Azuma started his life and how his circumstances changed when he met the family that Fumiko worked for and about the great love of his life, Yoko. In the final part of the book, which is small and runs for only a few pages, one more narrator Fuyue tells Yusuke more things about Taro Azuma, things we didn’t suspect. The story then unwinds and we move out from the innermost story arc to the next outer one to the outermost one where the author-narrator finally shares her thoughts. I liked this circular narration of the story, moving from one narrator in the outer circle to another narrator in the inner circle. It make me think of classics like Mary Shelley’s Frankenstein and Cao Xueqin’s Dream of Red Mansions which have a similar structure. No one writes like that anymore and so that made me happy. One more thought I wanted to share on the narrators was this. It is hard to tell whether the three narrators are reliable or not. For example, is this a true story, as the author-narrator Minae Mizumura says? Or is this a literary device that the novelist adopts – like Somerset Maugham did by making an appearance in some of his novels? Did Fumiko tell the whole truth? Or did she suppress some parts of it, as Fuyue, the third narrator says in the end? Or is Fuyue lying or misinformed? These are interesting topics of conversation. I also loved the central story, which is the story of Taro Azuma and Yoko. It is tempting to call it a love story and that is probably how it will be known. But love is such a catch-all term and these days it is used mostly to refer to love of the romantic variety. Ancient Greek had four different words for love – Eros, Philia, Storge and Agape. Today, love is generally used in the sense of ‘Eros‘. But the love between Taro and Yoko is complex and deep – it is the way one would feel towards one’s soulmate. It has elements of all the four Greek words, but it also has facets which is hard to describe in words. Taro is from a very poor family and Yoko is from a rich family and the love they feel towards each other, an impossible love in post World War II, class-conscious Japan is beautifully described in the middle part of the book. We also see how Japan, a country with a traditional culture and lots of poverty became the industrialized powerhouse it is today and how the lives of our novel’s characters change significantly because of the overall change that the country goes through. ‘A True Novel‘ has been compared to Emily Brontë’s ‘Wuthering Heights‘ and when we read the book it is easy for us to see why. It is tempting to assume that Taro is the Japanese Heathcliff and Yoko is the Japanese Catherine Earnshaw, but the similarities end after a while. Beyond the brooding, Taro is unique in his own way and so is Yoko. Though there are other similarities in the story – I won’t write about them here because I want you to discover them yourself, if you choose to read the book – and though Minae Mizumura might have been inspired by the Heathcliff-Catherine legend, I would like to see the book as a classic in its own right, a story which tells us how the lives of a few families across different social strata underwent big changes over the past few decades when Japan herself went through significant changes, economically and culturally. Mizumura’s writes in vintage, spare, Japanese prose. There is no word wasted. The pages fly as a result. I still can’t believe that I read 862 pages in a week! I loved the places where Mizumura takes a digression from the main story and shares her thoughts on other topics – like how one becomes a novelist, about the different kinds of Japanese novels and about the differences between Japanese and English as literary languages. Those were some of my favourite parts of the book. So, what are my final thoughts on the book? I loved ‘A True Novel‘. After having a bad reading year, I am glad I ended it with a chunkster that I loved. I am also happy that I have now read a giant-translated-novel-that-makes-a-mockery-of-subway-reading 🙂 Yay! I am also happy that I read a Japanese literary work after a long time. I can’t wait to read more of Mizumura’s work, especially her nonfiction book ‘The Fall of Language in the Age of English‘, which I think is an important book for our times. I don’t think I have done justice to Mizumura’s book in my brief review. If you love Japanese literature and chunksters, this book is for you. Let’s say in ten years’ time I have written numerous novels and am doing quite well for myself. I doubt if the day will ever come, but let’s just suppose that it does. Would I then be satisfied? No, I don’t think so. Most likely, I would still want to know if it was my mission on earth to become a novelist. However prosaic a writer’s work or person may be, a writer is also an artist, and every artist must ask himself whether he was born to do what he does, rather than whether he can live by doing it. Behind the question is a perennial—indeed obsessive—need to believe that in some mysterious way one is destined to be an artist. A novelist is particularly prone to this concern. To become a painter, a dancer, or a musician, two things are necessary: an apparent gift and hard training. In contrast, nothing seems easier than becoming a writer. Anyone can string a few sentences together and turn out a novel practically overnight. Who becomes a novelist and who does not seems almost arbitrary. Hence the strong desire to hear a resounding voice from on high telling one that one was indeed destined to write. I remembered a time when I often encountered new people in unfamiliar places and spent hours with them. Who it was or where the place was did not matter; what mattered was that those hours cut off from routine could be as intoxicating, as blissful, as time spent drifting on the surface of a deep sea. But after I reached my mid-thirties, this happened less, and I began to feel that new encounters were often just repetitions of old ones. I hadn’t experienced meeting a stranger as a pleasure for a very long time. …one of the many ways in which it (Japanese) differs from European languages is in how the personal pronouns—I, you, we, he, she, and they—function. In its European counterparts, these pronouns are the pillars of the language and are essential in constructing a sentence, even if they are only indicated by the inflections of verbs. This isn’t so in Japanese. Here, the personal pronouns are elusive, constantly shifting, often absent, and function like any nouns. This becomes most problematic when it comes to the use of the personal pronoun “I.” In their first encounters with Western thought, Japanese people tried to grasp the concept of a “subject”—a concept that has become increasingly important in the modern West. Yet in Japanese there exists no grammatical equivalent to, for example, the English word “I.” There is no grammatical “I” that can be used by anybody—which ultimately means no grammatical “I” that can speak as a “subject” independent of its context. In fact, there is no single word for “I” in Japanese but a variety of “I’s,” depending on who the speaker is and whom he is speaking to—a linguistic feature perhaps unimaginable to those who only know European languages. All this renders the notion of the abstract and transcendent “subject” difficult to conceive of in Japanese. And that may be one of the reasons why Japanese readers continue to look for an actual, specific individual in a story rather than perceive the story as the work of a writer’s imagination. 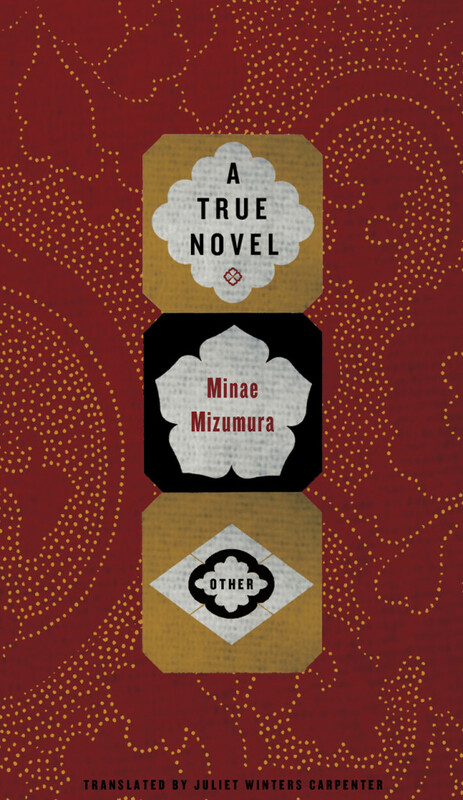 Have you read Minae Mizumura’s ‘A True Novel‘? What do you think about it? Woah, just reading your summary of book made my head spin! I haven’t been able to sit through a proper book for a few months now but your post makes it sound like a really interesting. I need to be read more Japanese literature. Ha, ha, ha! Sorry to know that 🙂 The book is not as complex as it seems from my review 🙂 Hope you get to read this or other books of Japanese literature. If you would like to explore shorter works, I would recommend Yoko Ogawa’s ‘The Housekeeper and the Professor’, if you haven’t read it already. It is very beautiful. Happy reading! I will look forward to your thoughts on it. I like the sound of this. I haven’t read much JLit, but what I have read is moody and introspective and spare. Apart from Kenzaburo Oe’s Death by Water, I haven’t found it very engaging. But reading your review I realise that (again, apart from Death by Water), most of what I’ve read is short. Novellas and short stories. So maybe a longer work might be just the thing to make me like JLit better. I agree with you on the moody and introspective part, Lisa. Also most Japanese novels I have seen are short too. Mizumura’s book is definitely an exception. Hope you do get to read it. I would love to hear your thoughts. Have you read any of Murakami’s books? And Yoko Ogawa’s ‘The Housekeeper and the Professor’? Thanks Tony 🙂 I will look forward to reading your review soon. I am sorry you didn’t like her nonfiction work. I was hoping to read The Fall of Language in the Age of English. Why didn’t you like it? I read it and liked it, hard to put down. I admire you for writing a post about this complex novel you did a great job. Thank you, Valorie 🙂 Glad to know that you liked it too! I will look forward to reading your review soon. It is definitely big, Resh. But because I read it on the Kindle, I could focus on the page I was reading rather than worry about how many pages I have read and how many pages are left. If I had tried reading the paper edition, I would have been extremely intimidated! I hope you get to read it though. I would love to hear your thoughts. A very lovely review, Vishy. I should stop eyeing the numbers of pages of novels since clearly, even a chunky book can be a quick read. One week isn’t a lot in a case like this. It’s interesting how old-fashioned this seems. I agree with, Lisa, I’ve mostly come across short Japanese books. This is really an exception. Your review puts me in the mood to read some of the Japanese authors on my piles. Thank you, Caroline 🙂 The size of the book is definitely intimidating, but I hope you do get to read it. I know you love Japanese literature and I would love to hear your thoughts. Hope you get around to reading it, Naomi. I would love to hear your thoughts on it. I found it very beautiful. So glad to know that you read it and loved it, Marina! Our Tony and our Bellezza are our two resident experts in Japanese literature. So it is not surprising that Tony recommended it to you 🙂 The paper copy does look beautiful with its intricate design. So jealous that you got to read that 🙂 Maybe I will get it just to feel it and read some of my favourite passages again. I am making an appearance here after years! But I had to! I love the intriguing story here. I am not a fan of unreliable narrators. I think the last book I read where I wondered if the narrator was reliable was Plath’s “Bell Jar.” But it also makes you question the nature of reliability. In the end, someone is telling us a story, and we are required to suspend our disbelief and trust that narrator, isn’t it? Thanks for stopping by, Smitha 🙂 So nice to have you here! Glad to know that you like the story told in this book. I can understand what you feel about unreliable narrators. When the narrator is unreliable it is hard to emotionally invest in their story. But like you said, at some level maybe all narrators are unreliable 🙂 I hope you get to read this book and like it. I will look forward to hearing your thoughts on it. Happy reading! I loved this review Vishy and I am tempted to order this book right now…. I hope you get to read this book, Neelima. It is really beautiful! I would love to hear your thoughts on it. Happy reading! Wonderful review, Vishy!😊 862 pages that blows my mind! I am not so great with long books, everything over 400 pages really🙈 This one sounds great though, hope you get to read more such works this year! Thank you, Bina 🙂 I was surprised myself when I read those 862 pages, because I was in a reading slump last year! I am like you – anything above 400 pages is entering the chunkster zone for me 🙂 Hope you have a great reading year too! Well, Vishy, I finished A True Novel last night, and your review shows much more appreciation with it than I felt. I liked it well enough, but it seemed to drag after awhile, and then I became completely annoyed with Yuko. She seemed a whining, dramatic, tempest of a thing. I could understand her despair with Taro when he first left her after their “elopment” (when she said she could never, ever marry him, with no explanation), but when she had a second fit with her husband much later and fell into yet another fever, I lost my patience. It sounds a petty thing, but her character frustrated me, and the drama of the story never seemed as dramatic to me as it did to the characters themselves. Minae says in the beginning something about how she has a story that comes once in a lifetime; it didn’t seem all that rare to me. People fall in love, find struggles in their relationship, all the time. Anyway, the two things I liked about this book were reading it with you and your review. Perhaps if I had finished it in one week, I too would have enjoyed it more. Since I was reading it during the hectic pace of Christmas it took me a few weeks, off and on, and I suspect that was a kiss of death. Now we are off to Captivity, and I am looking forward to that adventure! Sorry to know that you didn’t like the book, Bellezza. I was hoping you would 🙂 But I can understand what you felt. Sometimes a long book isn’t as engaging as we hope it will be. Thanks for your kind words about my review. I was also happy and glad to do this readalong with you. Thanks so much for hosting this readalong! Hope you are enjoying Captivity! Happy reading! I read the first page and it looks quite interesting!